Home / Celebrities / From Modeling To Cooking, Former Masterchef Contestant Sarah Todd Slays It All With Her Talent! From Modeling To Cooking, Former Masterchef Contestant Sarah Todd Slays It All With Her Talent! Sarah Todd first appeared on the Australian food scene in 2014, as one of that season’s most popular MasterChef Australia contestants. 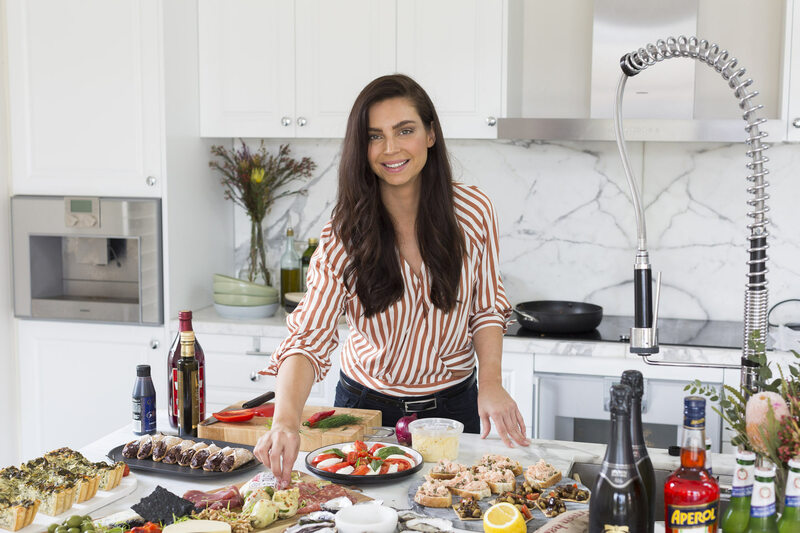 A former high-end fashion model, Sarah epitomizes her belief that eating well and looking your best are possible when you use loads of fresh herbs, aromatic spices and beautiful ingredients to create food that is healthy, yet still bursting with flavor. This month, Women Fitness India catches up with the highly successful Restaurateur to learn about her journey from modelling to opening up her own restaurant in India. Since childhood, you were more into fitness and sports that slowly led you to modelling. After spending a decade dedicated to modeling on runways and shooting photo spreads, you discovered your love for food culture that you had never known before. Exposure to so many different and exciting cuisines sparked your imagination and you began to feel heady with possibility. Share with us your incredible journey of discovering your true passion for food? From a very young age my mother has been an incredible desert cook. Every year at Christmas time, I would help my mother bake 100’s of cookies which she placed in cookie jars to give as gifts. Our Christmas dessert table was something any family would envy, with so many delicious options that we all looked forward to all year round. However it wasn’t until my son was born that I discovered my true passion for cooking. I would spend all of Sunday’s prepping organic baby food for him for the week and then I went on to making 3 course meals every night as it was like some Martha Stewart was released inside me…I was obsessed. You went on to receive training in French cookery from Le Cordon Bleu and experience alongside Michelin star chef’s Neil Borthwick and Angela Hartnett at Merchant’s Tavern, and hatted restaurants Tonka and St. Crispin in Australia. You also got the opportunity to participate in Master-Chef Australia season 6. Your career has totally been spectacular, How does it feel to be where you are today both professionally & personally? The thing is I have had my head down for the past 3 years working long hours, studying, raising a child, splitting my time between Australia and India, doing business in a foreign country and I haven’t had a single day off in that entire time. I have to admit it has been the toughest three years of my life and there where times when I wanted to give up. About 6 months back on a day where I was really feeling the pressure of it all, a table of 3 beautiful young girls came into Antares, my restaurant in Goa and they wanted to meet me. I walked over to find this girl crying, she was so inspired by my journey and overwhelmed to meet me. I finally took a step back and realised my purpose. What I am doing now is bigger than me and I’m proud of what I have achieved and more than that, I realise my purpose, to continue inspiring females to push the boundaries, follow their dreams and know that it is not easy but it is worth it.